Right Patient. Right Content. Right Time. Declutter your office and engage patients on beautiful HD displays with content relevant to your practice and the services you offer. Capitalize on the upsell opportunities without spending thousands on external advertising. Transform your TV into a powerful marketing tool. 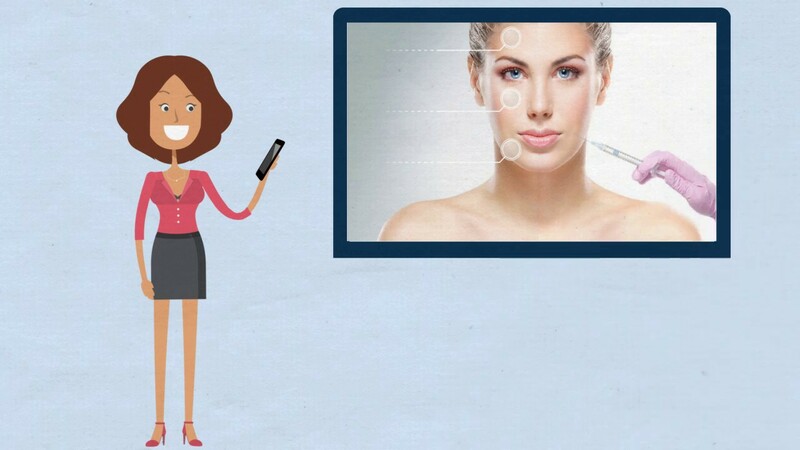 Display targeted content to aesthetic patients at the point of care. Communicate more of what you offer at Reception and in the Treatment Room. Allow patients to browse your digtial menu of services and start a conversation. Already have an iPad or Android Tablet? Click below to download the FriendMedia App Today! What Do Patients Really Want to See? Streamline your marketing using Instagram, Twitter, Facebook, or Youtube and publish them automatically on your TV. Browse high-quality content from thousands of aesthetic brands and load them to your playlist instantly. Promote your patient events and monthly specials using powerful tools such as Google Slides, or our built-in video & album tools. Keep your patients engaged via the latest aesthetic vlogs, news, and entertainment. Ready to engage with your patients?